Currently the AH-64E Apache Guardian is produced by Boeing Defense. This will be new build helicopters as well as retrofitted AH-64Ds. Ordered 36 AH-64As which have been upgraded by Boeing to AH-64D standard excluding the Longbow radar. Another 12 AH-64Ds were ordered in 2009. Ordered 20 AH-64As. The order was followed by 12 AH-64Ds. Ordered 22 AH-64Es on September 29, 2015 with the first to be delivered from 2019. On June 12,2018 the DSCA approved the direct commercial sale of six AH-64Es. 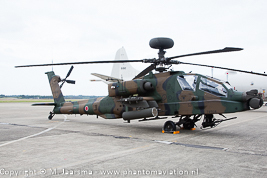 Ordered its AH-64Es on January 26, 2015. First three aircraft were delivered on December 16, 2017 and the remaining five on March 29, 2018. AH-64A “Peten" 44 delivered from 1990 until - 1995. Follow on order for 21 AH-64D “Saraf”. One Apache lost in an accident on February 5, 2018. The 12 AH-64DJ's will receive a sensor upgrade. 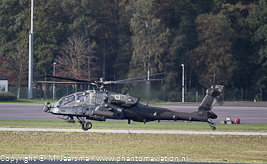 Before delivery of its 30 AH-64D's the RNLAF leased 12 AH-64A's from the US Army. 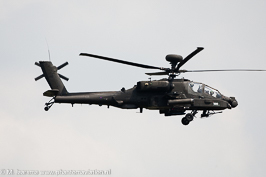 The remaining 28 Apaches will be upgraded to the AH-64E Apache Guardian standard. Retrofit has been approved by the DSCA and the Dutch MoD is now in the process of political approval for the upgrade. Order for 24 AH-64E's signed on June 7, 2016. All are to be delivered by May 31, 2020. Original batch consisted of 12 AH-64's of which ten will be upgraded to AH-64D. Purchased 24 new build AH-64E's which are part of a US Army order, see below. DSCA approved the sale of 36 AH-64E's in 2012. Boeing was awarded a contract on October 5, 2018 for the remanufactuer of eight AH-64Ds and nine new build AH-64Es with an estimated completion date of February 28, 2023. 67 AH-64D's purchased which were build at (then) Agusta Westland's at Yeovil. Designated Apache AH.1 in Army Air Corps service. The MoD announced to purchase 50 new build AH-64E's on July 11, 2016. Boeing defense was awarded a FMS contract on May 11, 2017 to upgrade 38 Apache AH1 helicopters to the AH-64E standard. Included in the contract are three Longbow crew trainers and associated spares. Work to be completed by May 31, 2024. Most likely the upgraded AH-64s will be designated Apache AH2. Total expected AH-64E's to be purchased: 690 (new build: 56 ; remanufactured: 634). Boeing announced on March 16 to have been awarded a five year contract for 268 AH-64E Apaches. 244 will be remanufacturered AH-64D models for the US Army and 24 new build for Saudi Arabia. The US Army originally operated the AH-64A. The AH-64D fleet consists of new build aircraft and upgraded AH-64A models. 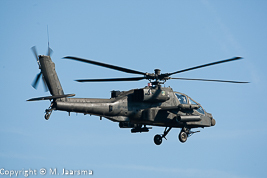 The same applies for the AH-64E known as Guardian which comprises new built helicopters as well as upgraded AH-64Ds. Numbers for the AH-64E will be updated once information has been validated. Retrofits are considered as new aircraft in the report.